This is the medium size of the current color version of the squadron patch for the 333rd Fighter Squadron, one of the F-15E Strike Eagle training squadrons located at Seymour Johnson AFB, NC. This is the large size of the current color version of the squadron patch for the 333rd Fighter Squadron, one of the F-15E Strike Eagle training squadrons located at Seymour Johnson AFB, NC. This is the current desert version of the patch for the 333rd Fighter Squadron, one of the F-15E Strike Eagle training squadrons located at Seymour Johnson AFB, NC. This is worn on the left sleeve of the flight suit. It does not come with velcro attached. This is the heritage desert version of the patch for the 333rd Fighter Squadron, one of the F-15E Strike Eagle training squadrons located at Seymour Johnson AFB, NC. I don't know what it all means so if someone knows please let me know. It does not come with velcro attached. 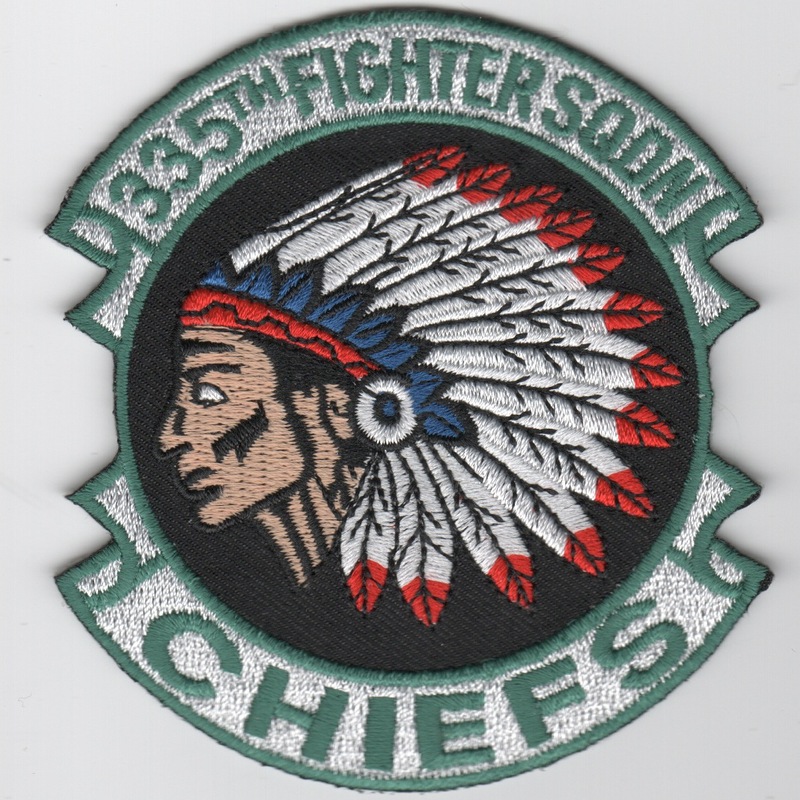 This is the squadron patch for the 334th Fighter Squadron, one of the F-15E Strike Eagle training squadrons located at Seymour Johnson AFB, NC. This is worn on the left sleeve of the flight suit. 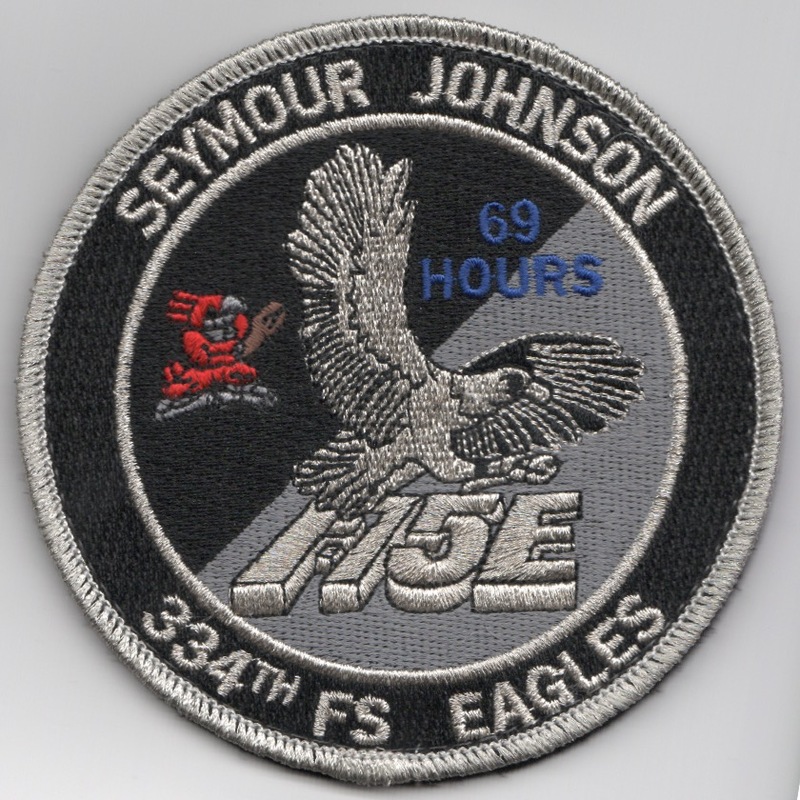 This is the silver/black "tinsel" version of the 69 Hours patch for the 334FS squadron flying the F-15E Strike Eagles out of Seymour Johnson AFB, NC. 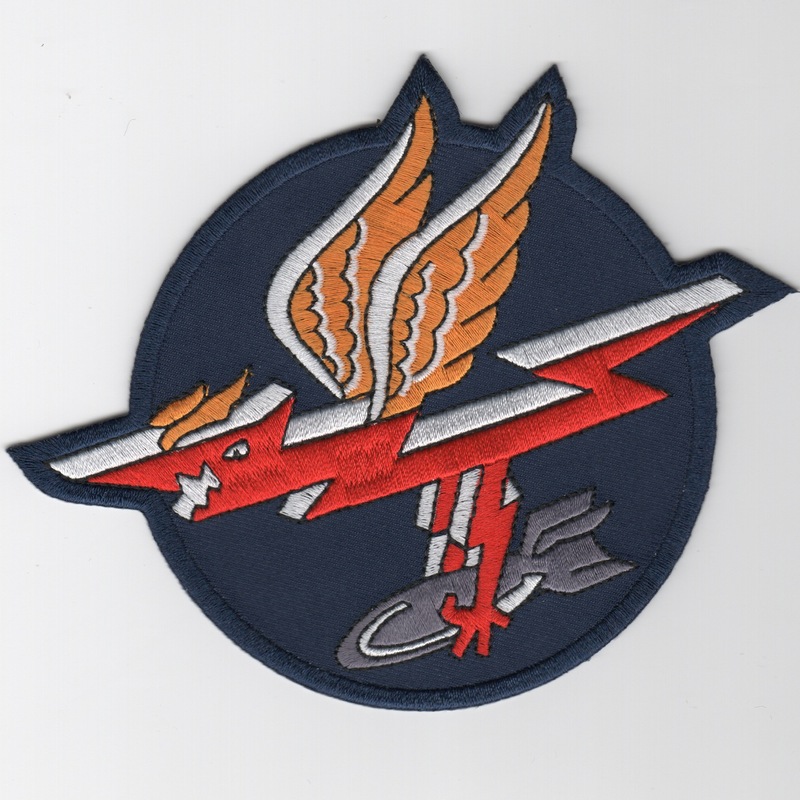 They are one of the two training squadrons for the "MUDNHEN" and this patch is worn by both pilots and WSO's, of which I was one (USN Exchange WSO in the late '90s). This patch DOES come with velcro attached. This is the "Lt. Protection Agency" (LPA) patch for the 334th Fighter Squadron, one of the F-15E Strike Eagle training squadrons located at Seymour Johnson AFB, NC. This is worn by the "newby LT's" on the left sleeve of the flight suit and this version does not come with velcro attached. This is the "Lt. Protection Agency" (LPA) patch for the 334th Fighter Squadron, one of the F-15E Strike Eagle training squadrons located at Seymour Johnson AFB, NC. This is worn by the "newby LT's" on the left sleeve of the flight suit and this version does come with velcro attached. 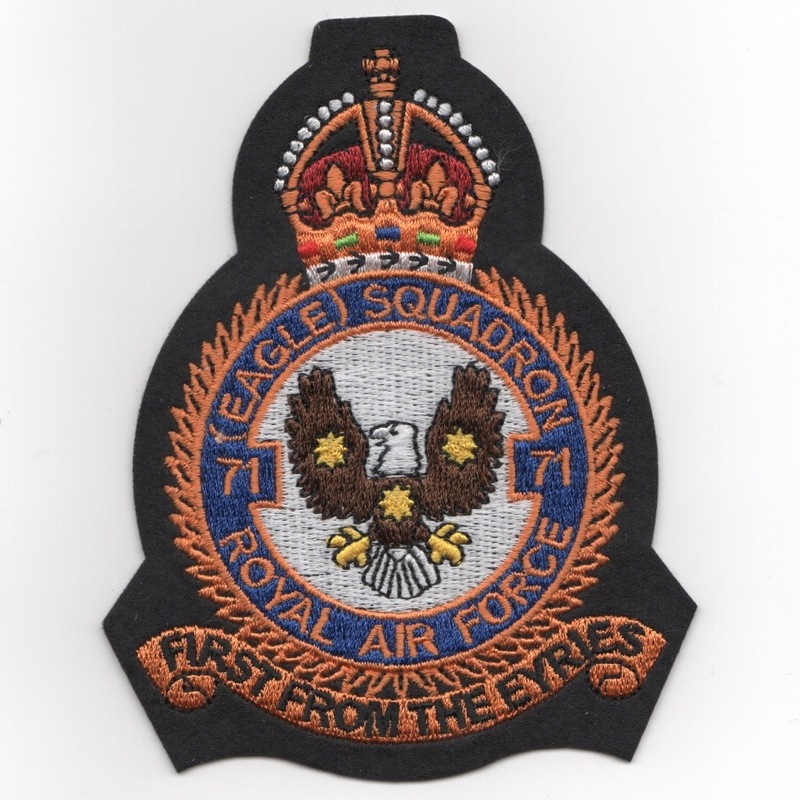 This is the heritage RAF patch for the 334th Fighter Squadron, my second favorite of the F-15E Strike Eagle operational squadrons located at Seymour Johnson AFB, NC. This is worn on the right sleeve of the flight suit and does not come with velcro attached. This is the current color version of the squadron patch for the 335th Fighter Squadron, one of the F-15E Strike Eagle operational squadrons located at Seymour Johnson AFB, NC. This patch does not have velcro already attached. This is the current desert version of the squadron patch for the 335th Fighter Squadron, one of the F-15E Strike Eagle operational squadrons located at Seymour Johnson AFB, NC. 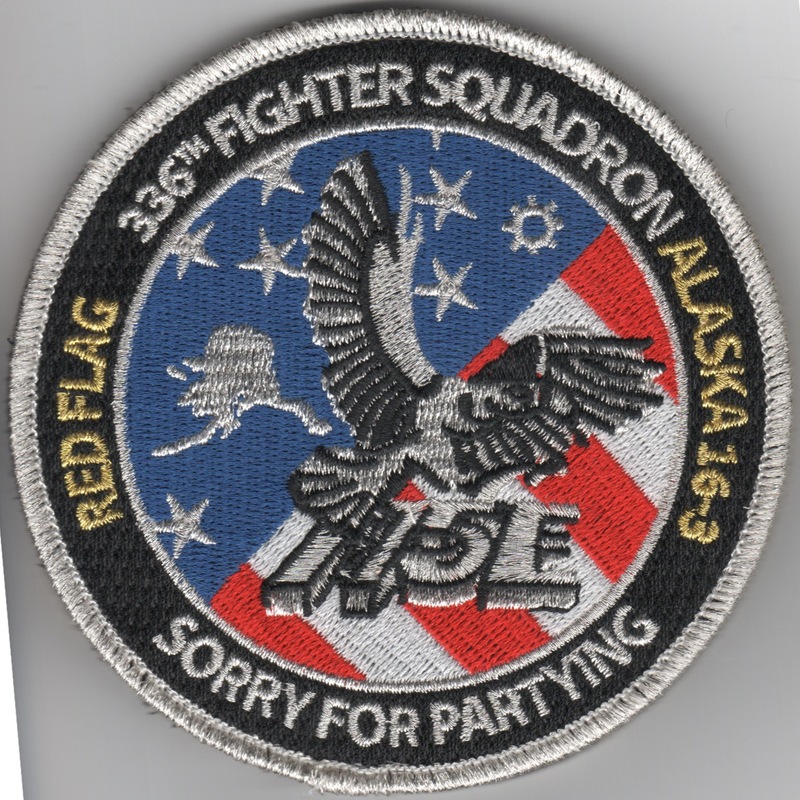 This is the color version of the Hank Caruso patch for the 335th Fighter Squadron. The patch was designed after the Hank Caruso print which was created by the Naval Exchange Officer, Bill "Salty" Watkins. This is the desert version of the Hank Caruso patch for the 335th Fighter Squadron. The patch was designed after the Hank Caruso print which was created by the Naval Exchange Officer, Bill "Salty" Watkins. 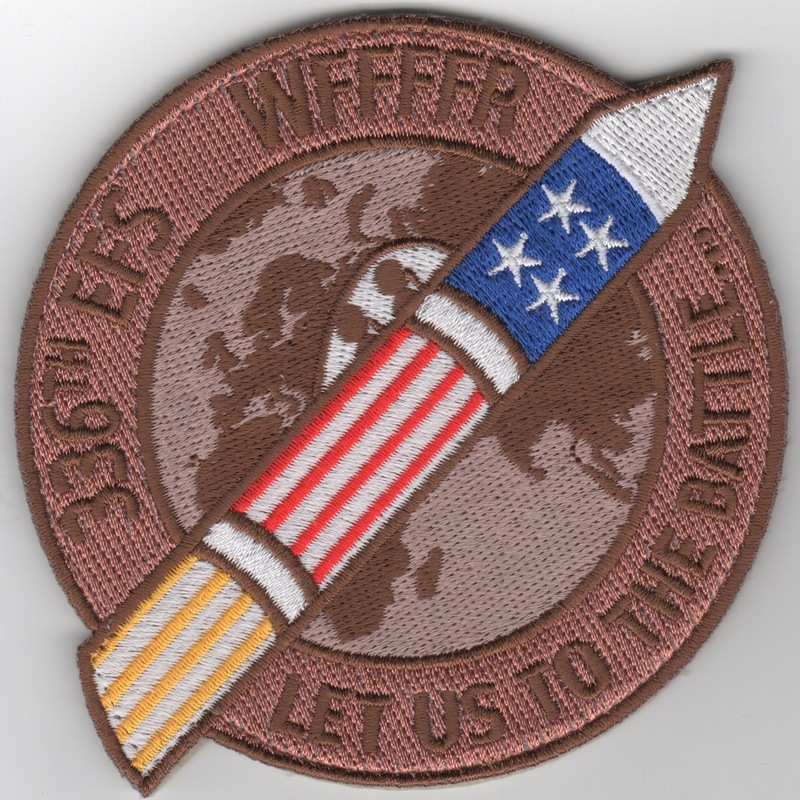 This is the 'WW II Heritage' patch for the 335th Fighter Squadron, one of the F-15E Strike Eagle operational squadrons located at Seymour Johnson AFB, NC. 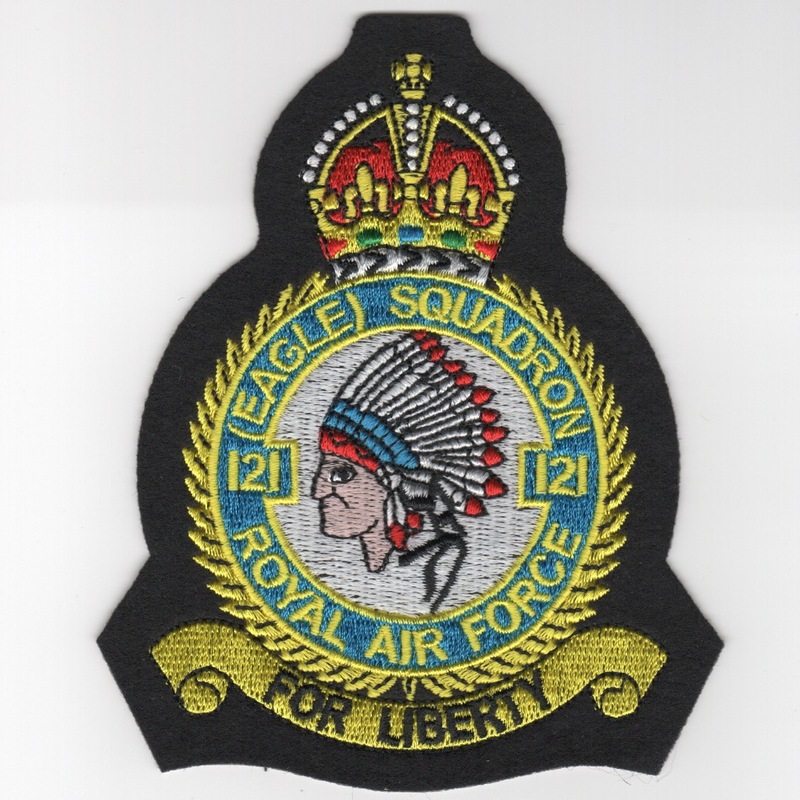 The squadron's lineage dates back to the Army-Air Corps and the American Pilots that flew in 121 Eagle Squadron of the English Royal Air Force. This is worn on the left sleeve of the flight suit and does not come with velcro attached. 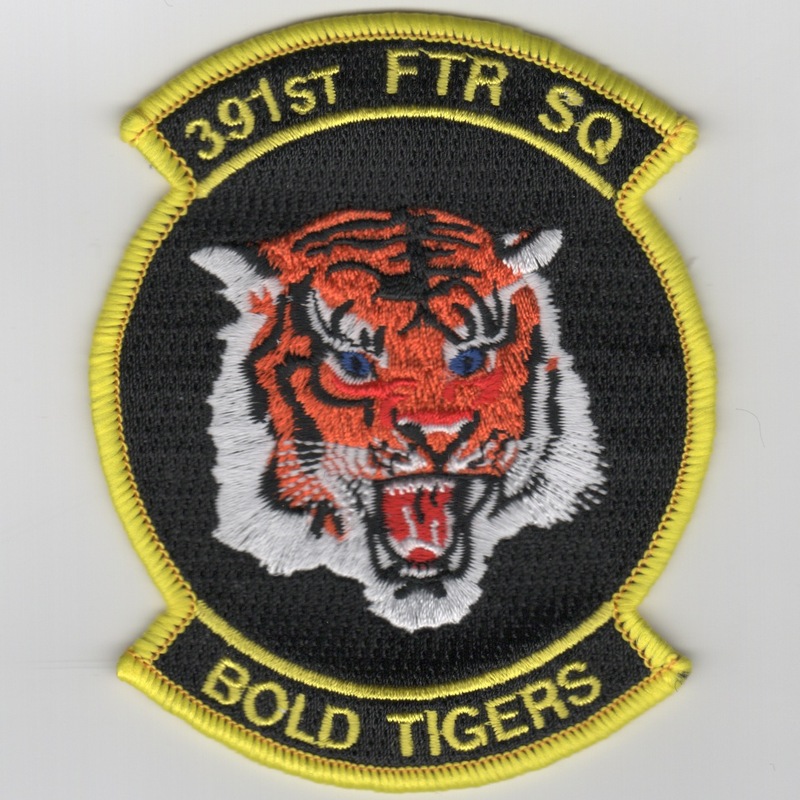 This is the color version of the combined unit patch for the 335FS out of Seymour Johnson AFB, NC and the 391FS out of Mountain Home AFB, ID. The "WSO's For Hire" was due to the combining of forces for the Operation Iraqi Freedom from March-June 2003. 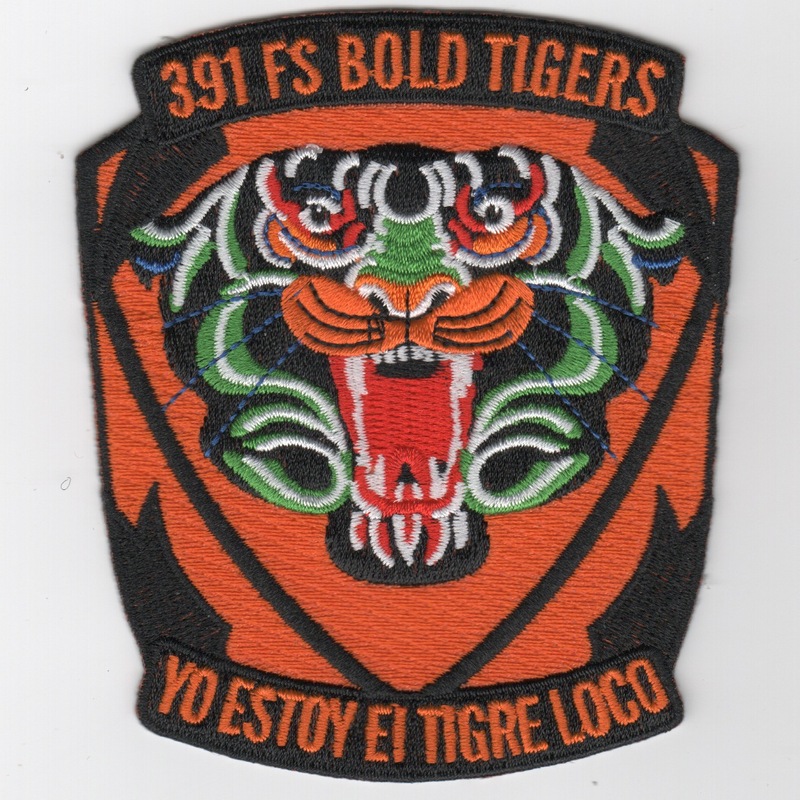 This is the desert version of the combined unit patch for the 335FS out of Seymour Johnson AFB, NC and the 391FS out of Mountain Home AFB, ID. The "WSO's For Hire" was due to the combining of forces for the Operation Iraqi Freedom from March-June 2003. This is the current color version of the squadron patch for the 336th Fighter Squadron, one of the F-15E Strike Eagle operational squadrons located at Seymour Johnson AFB, NC. (An AV8RSTUFF Reproduction): Since this is my old squadron, I wanted to reproduce one of their iconic, historical squadron patches from the (very) early days of their existence. 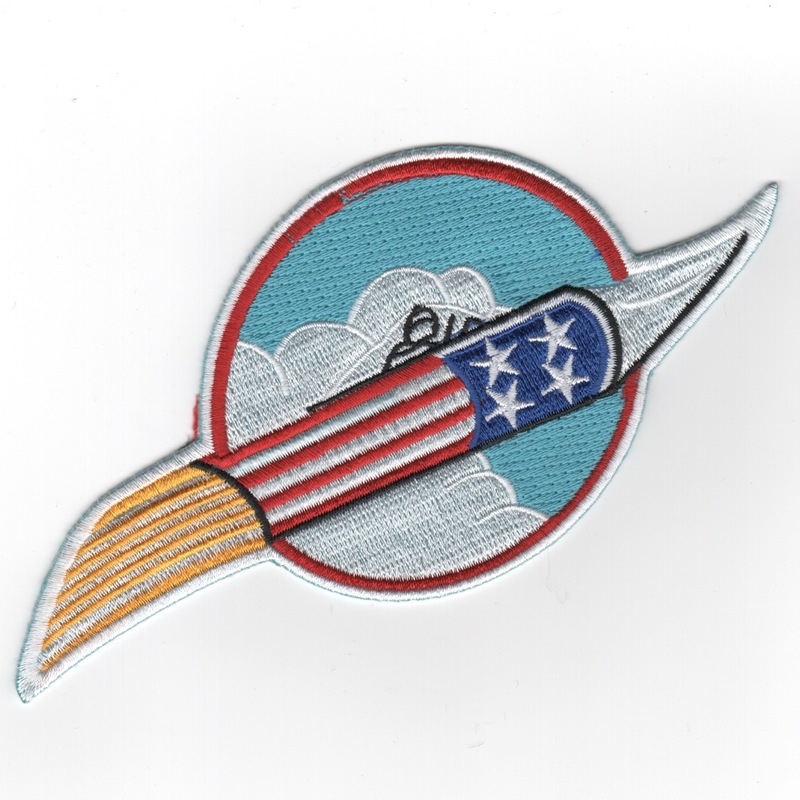 This patch shows a single-seat fighter guy launching in his rocket (since we are the "ROCKETEERS") off to fight, hence the mantra "LET US TO THE BATTLE". The squadron since moved to the mighty F-15E Strike Eagle (2-seater). This patch does not come with velcro attached. An original one of these came to auction on Ebay and sold for around $600!! This is the current desert version of the squadron patch for the 336th Fighter Squadron, one of the F-15E Strike Eagle operational squadrons located at Seymour Johnson AFB, NC. This is the WW II Heritage patch for the 336th Fighter Squadron, my favorite of the F-15E Strike Eagle training squadrons located at Seymour Johnson AFB, NC. This is worn on the left sleeve of the flight suit. This is the desert version of the deployment patch for the 336th EXPEDITIONARY Fighter Squadron, my favorite of the F-15E Strike Eagle operational squadrons (since it was my squadron!) located at Seymour Johnson AFB, NC. This patch says "336EFS and WFFFFR" at the top and "LET US TO THE BATTLE" along the bottom. This is worn on the left sleeve of the flight suit and does come with velcro already attached. 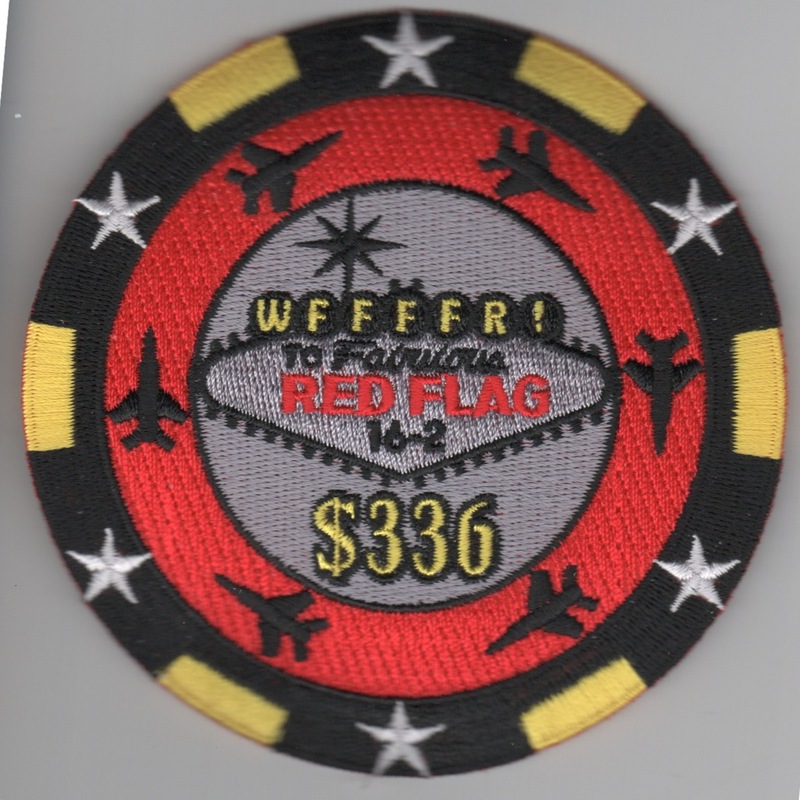 This is the "Red Flag 16-3" DET patch for the 336FS Fighter Squadron that participated in the Red Flag exercise in 2016 at Nellis AFB, NV. This patch does not come with velcro attached. The 389th Fighter Squadron (389 FS) is part of the 366th Fighter Wing at Mountain Home Air Force Base, Idaho. It operates F-15E Strike Eagle aircraft conducting close air support missions. The 389th flew combat in the European Theater of Operations from, 14 March 1943 � 3 May 1945 and in Southeast Asia from, 14 March 1966 � 8 October 1971. 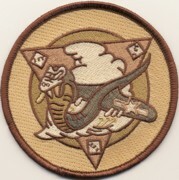 This is the reproduction patch from their World War II era squadron patch and does not come with velcro attached. This is the squadron patch for the 391st Fighter Squadron that fly the F-15E Strike Eagle squadron located at Mountain Home AFB, ID. This patch does not come with velcro attached. This is the desert version of the 391st Fighter Squadron patch for the operational F-15E Strike Eagle squadron located at Mountain Home AFB, ID. This patch does not come with velcro attached. This is the color version of the 391st Fighter Squadron Heritage patch for the operational F-15E Strike Eagle squadron located at Mountain Home AFB, ID. This patch does not come with velcro attached. This is the desert version of the 391st Fighter Squadron Heritage patch for the operational F-15E Strike Eagle squadron located at Mountain Home AFB, ID. This patch does not come with velcro attached. This is the orange/green version of the 391st Fighter Squadron Heritage patch for the operational F-15E Strike Eagle squadron located at Mountain Home AFB, ID. This patch does not come with velcro attached. 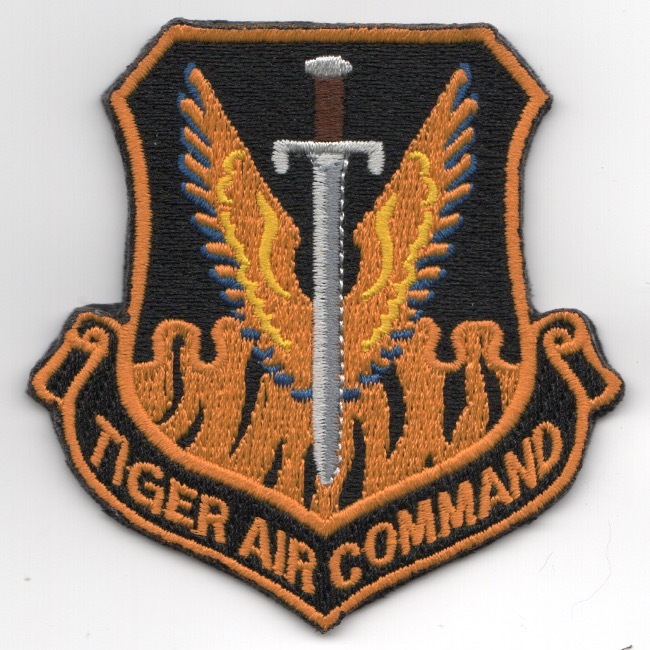 This is the orange version of the 'Tiger Air Command' Crest patch for the 391st Fighter Squadron that flies the F-15E Strike Eagle out of Mountain Home AFB, ID. This patch does come with velcro attached. 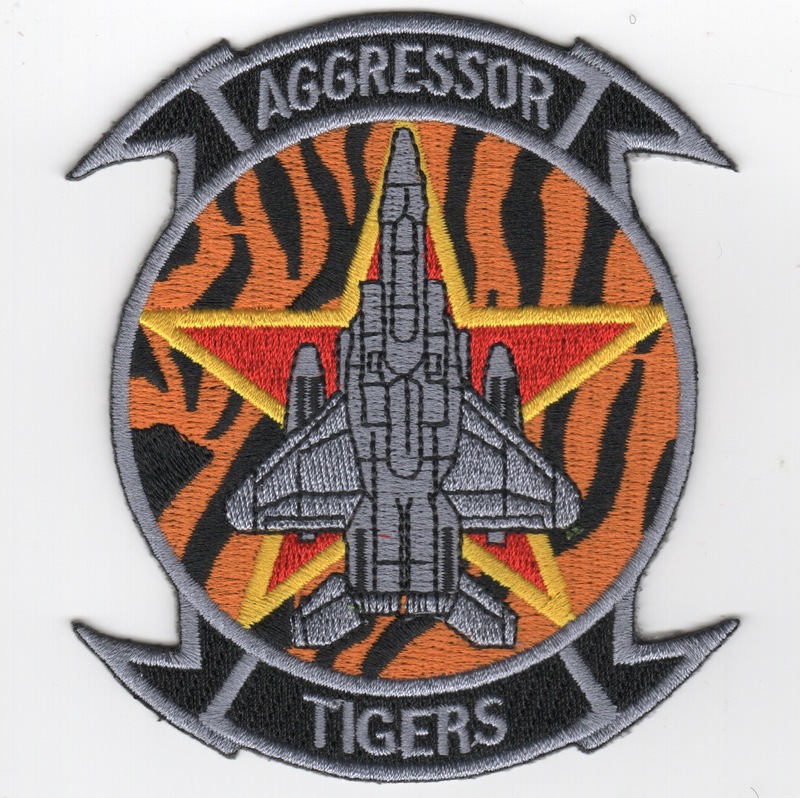 This is the orange version of the 'Tiger Aggressor' Squadron patch for the 391st Fighter Squadron that flies the F-15E Strike Eagle out of Mountain Home AFB, ID. This patch does not come with velcro attached. This is the color version of the 391st Operation Enduring Freedom patch for the F-15E Strike Eagle squadron located at Mountain Home AFB, ID. This patch does not come with velcro attached. This is the desert version of the 391st Operation Enduring Freedom patch for the F-15E Strike Eagle squadron located at Mountain Home AFB, ID. This patch does not come with velcro attached. This is the LARGE version of the Tigerhead patch for the 391FS, the F-15E Strike Eagle squadron located at Mountain Home AFB, ID. This patch does not come with velcro attached. 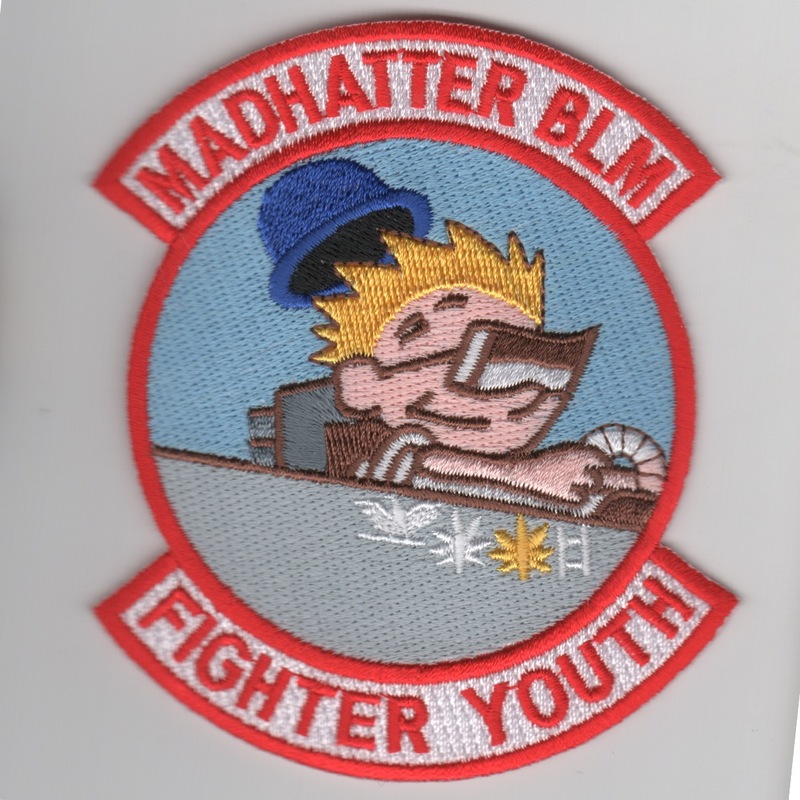 This is the "Fighter Youth" patch created by the 492FS that flies the F-15E out of RAF Lakenheath....I think that's 'Calvin' and says "MADHATTER BLM" at the top. This patch does not come with velcro attached.